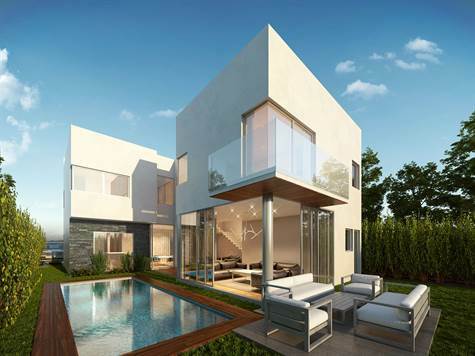 Playa Magna, Playa del Carmen – An amazing, brand new 3 bedroom home home for sale in Playa del Carmen, in the gated community of Playa Magna. This house is just about to completed before the end of this year (2016) and about 3400 sq.ft in total area in 2 levels and is delivered ready to go with everything except furniture. Playa Magna is a small gated community about 10 minutes north of downtown Playa del Carmen, which offers some great amenities such as 24 / 7 security, common “palapa” and pool, gym, kids park, green areas for walking dogs, tennis courts,and much more. This area of Playa del Carmen has been expanding rapidly in the last few years, with shops, schools and malls being built in the area. The beach access is also very close by, making this an ideal property for potential owners looking to invest in the vacation rentals market. Contact Us today for a showing, or for more information about this house for sale in Playa del Carmen. Playacar Phase 2, Playa del Carmen – 2-Bedroom condo for Sale in Playa del Carmen, located in the exclusive phase 2 of the gated community “Playacar”. *Beautiful pool and garden area. *Unique architectural style with wood-look posts and railings. Nearby attractions include the Playacar golf course (just footsteps away), the beautiful white-sand beaches of the Caribbean Sea, and 5th Ave. shops, restaurants and malls. Contact Us today to schedule a showing or for more information about this condo for sale in Playa del Carmen. 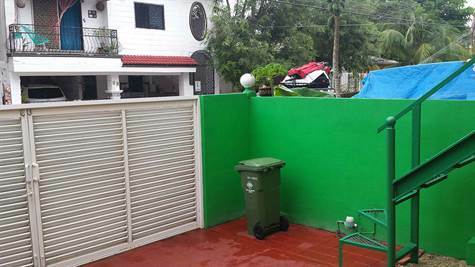 Central location with park views! • 1,776 sq. ft., 3 bath, 3 bdrm 3-level split – $209,000. Reduced! 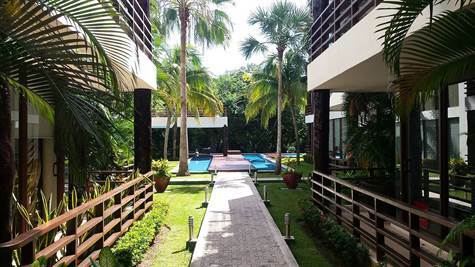 Tohoku, Playa del Carmen – 3-Story house for Sale in Playa del Carmen, split into 3 apartments with private entrances. 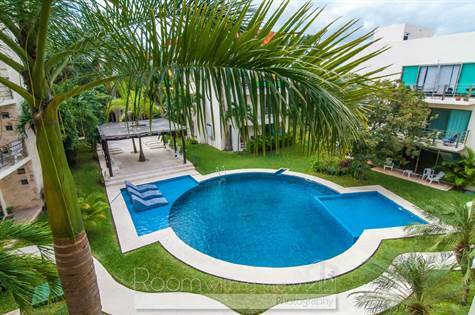 This home for sale in Playa del Carmen is located in a quiet, gated community and offers park views that are extremely rare in downtown Playa. 5th Ave. restaurants, malls and shops, and the white-sand beaches of the Caribbean Sea are just a few blocks down the street from this centrally-located home for sale in Playa del Carmen. This house is ideal for a large family looking to move into downtown Playa del Carmen while enjoying the privacy that comes with a 3-level split, or for potential owners looking to invest in the rentals market considering the house’s excellent rental history both long and short-term. The reduced price shown on this listing does not include the furniture and decoration, which could be included for a small extra price. Contact Us today to schedule a showing, or to get more information about this rare Playa del Carmen Real Estate investment opportunity. Located in a gated community! • 1,334 sq. ft., 2 bath, 2 bdrm single story – $229,000. Investment Opportunity! Prana , Aldea Zama – Modern, 2-bedroom, 2 1/2 bathroom Condo for sale in Tulum. 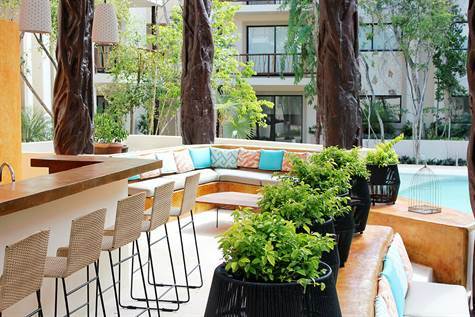 This tastefully decorated condo for sale in Tulum is located within an eco-friendly gated development and surrounded by the lush tropical jungle. The protected green areas around this beautiful condo maintain the region’s natural appeal, while the aesthetics and construction style promote a tasteful ambiance throughout the community. Located strategically close to the archaeological zone, the crystal-clear waters of the Caribbean Sea and the city center, this condo for sale in Tulum is a very attractive property for potential owners looking for a growing investment as well as a serene vacation home. Contact us today for a showing or more information about this great condo. • 2 story – $440,000. Reduced! 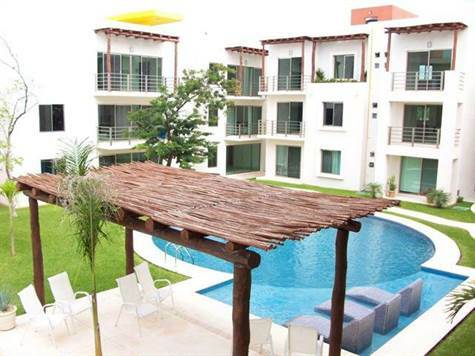 Little Italy, Playa del Carmen – Modern, 2-story, 3-Bedroom, 3-Bathroom condo for Sale in Playa del Carmen. This beautiful condo for sale in Playa del Carmen’s exclusive Little Italy neighborhood offers 2 loft-style levels, two en-suite bathrooms, plus a media room that can be used as a 3rd bedroom. This fantastic turn-key investment opportunity is ideal for owners looking to invest in the Vacation Rentals market in Playa del Carmen or simply to own as a vacation home. This condo for sale in Playa del Carmen is fully furnished and decorated with exquisite taste, and also offers underground parking and an ocean-view rooftop pool and solarium. Contact Us today for more information about this Condo for Sale in Playa del Carmen or to schedule a showing with our staff. Ejido Town, Playa del Carmen – Beautiful, 2-bedroom condo for sale in Playa del Carmen. 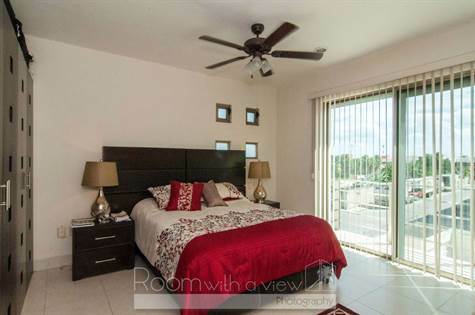 This is a beautiful condo in a desirable gated community in a quiet convenient location near the highway and shopping centers. It is a relaxing place to live with views overlooking the pool, garden and sundeck area. 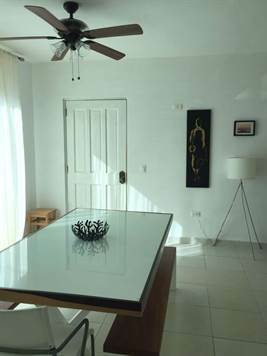 If you are looking for an investment property in the Caribbean, this condo has a continuous rental history and offers a high return of investment. The common areas are very well maintained and have 24 hour security. It offers a spacious 2 bedroom, 2 bathroom attractively laid out apartment with washer dryer combo in suite. Enjoy the private balconies, formal dining area, kitchen with breakfast bar and 2 large bedrooms with ensuite bathrooms. With local services and 5 minutes from major shopping, schools and the beach, this is a perfect location to live or vacation at a competitive price. Contact Us today to see this condo for Sale in Playa del Carmen, or for more information. Great location with amazing pool! Great quiet location with amazing pool! Ejido, Playa del Carmen – Beautiful, 2-bedroom condo for sale in Playa del Carmen. Enjoy the private balconies, formal dining area, kitchen with breakfast bar and 2 large bedrooms with en-suite bathrooms. • 1,507 sq. ft., 2 bath, 2 bdrm single story – $195,000. Super Deal! 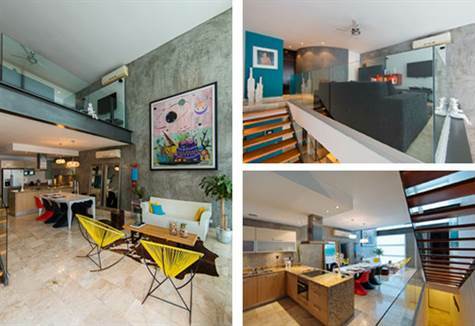 Little Italy, Playa del Carmen – Mostly-Furnished 2-Bedroom Penthouse for Sale in Playa del Carmen, Mexico. Welcome to Condo Margaritas, a unique investment opportunity in the Heart of Playa’s Little Italy, just a few blocks away from 5th Avenue’s shops and restaurants, and a short walk away from the Caribbean Sea. This Penthouse for Sale in Playa del Carmen features 2 bedrooms, 2 bathrooms, a private rooftop terrace, pool, and large, naturally well-lit spaces. This condo is located in one of the highest ROI areas for Vacation Rentals, making it a great choice for owners who are looking to invest. If investing is not for you and it’s the lifestyle that you are looking for instead, this 1507 Sq. Ft. Condo (including the rooftop deck) is also the right choice. It’s located only a couple of blocks away from some of the most famous beach clubs, bars and restaurants along 5th Avenue and the Caribbean Sea. There are also schools and sports facilities in the area, making this Condo for Sale in Playa del Carmen perfect for a family. At Living Riviera Maya we are committed to finding the perfect Caribbean property for your needs. Is Condo Margaritas the right condo for you? Contact Us today for as showing or for more information.